Gary Porter, Retired Physicist at the Lawrence Livermore National Lab, has been recognized by Marquis Who’s Who Top Scientists for dedication, achievements, and leadership in plasma physics. Dr. Porter’s scientific interests have focused on plasma physics, the study of charged particles and fluids interacting with self-consistent electric and magnetic fields. The discipline applies to space, astrophysics, controlled fusion, accelerator physics, and beam storage, as well as numerous others. Currently retired, he remains active in the scientific community by fostering and tending to the minds of younger scientists. He enjoys visiting and volunteering at elementary schools and instilling a passion for the field in young minds. Throughout his career, Dr. Porter has contributed to articles and professional journals while researching and conducting scientific studies. He holds patents for guidance scheme for charged pellets for fusion. 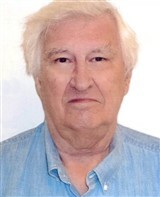 Dr. Porter was a physicist for the Lawrence Livermore National Lab from 1968 to 2004, and from 1993 to 2000 he served as a member of the Divertor Physics Expert Group of the International Tokamak Experimental Reactor. Dr. Porter maintained affiliation with the American Physical Society. In his free time, he enjoys genealogy and learning about family history.